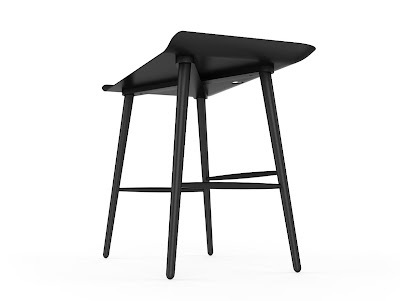 With his swag leg group, George Nelson didn't try to design an innovation; the innovation resulted from his criteria for the design. He began with the legs, insisting that they be made of metal, machine formed, and prefinished. He also wanted them to be easy for the consumer to assemble, so the desk and tables could ship knocked down to save on costs. 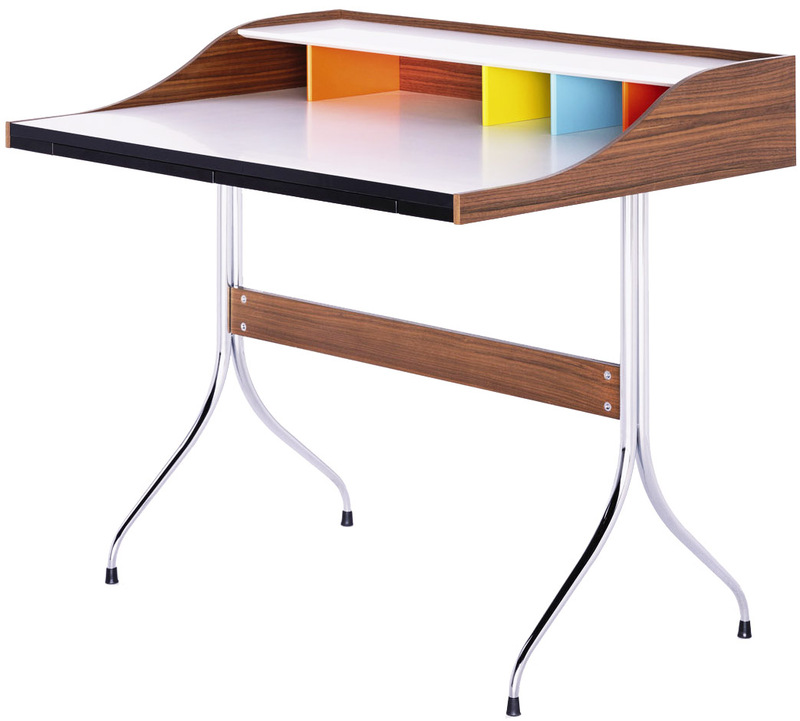 This 34.5" high desk has a white-laminate top surface, solid walnut side and back panels, 4 hardwood dividers, and 2 black-plastic pencil drawers. The base is chrome finished steel tubing with a solid walnut stretcher and adjustable glides. The desk also has a grommet for cable management. Hardwood divider colors include 2 orange, 1 spa blue, and 1 chartreuse. Shipped knocked down (flat-packed). Shipped packaging dimensions are: 42" length x 30" width x 12" height. Some assembly required: legs need to be attached to desk. Our second choice is this new creation by Dutch designer Marcel Wanders. Marcel Wanders designed the Woood home office desk for Moooi in the Netherlands. 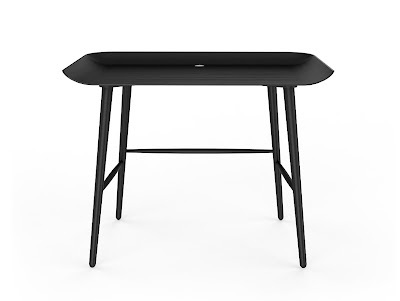 Woood is an ideal writing or computer desk for the home. With a 3D pressed oak veneer top and beech frame all with a black stain. A hole for cables is incorporated in the back edge of the top. 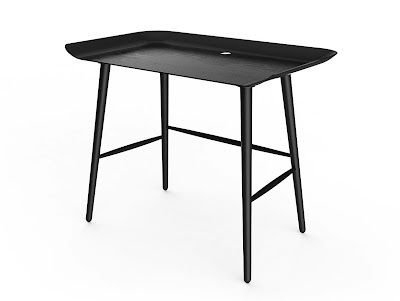 An ideal writing, computer desk with plug hole in the top, these are just a few of the efficient qualities of the Woood remarkable table. The modern and contemporary home office has revolutionized the global workforce. As part of the progressive work culture, one can work from the comfort of one's home. This beautiful home office desk can help to foster a creative and very personal atmosphere promoting efficiency and productivity. The size of the desk is perfect for a laptop and MP3 dock and makes efficient use of space in your home or office. The Woood desk work well in offices and meeting spaces and in your dining area at home. This home office desk has the look, scale, and function just right for today's office environment. 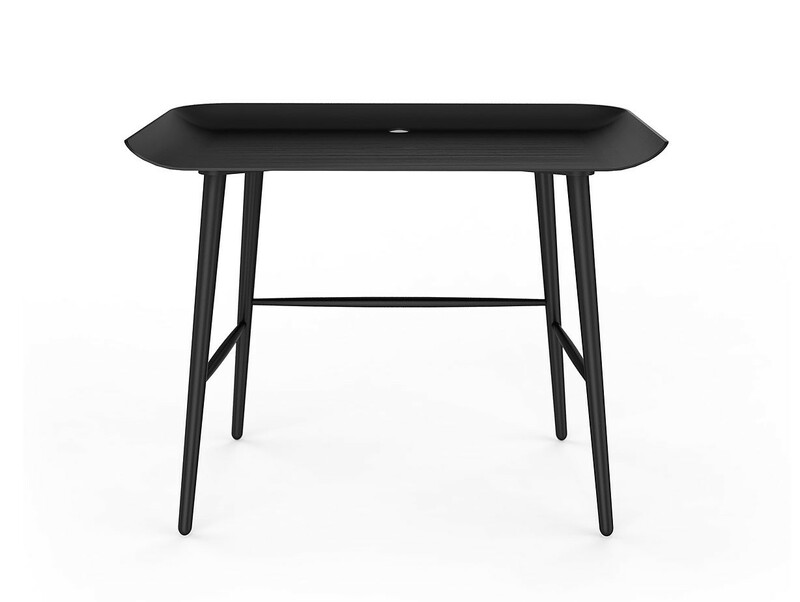 A beautiful and perfectly balanced functional desk for the modern home office! Moooi's Woood desk is a beautiful and very practical desk for the home office or a small business! 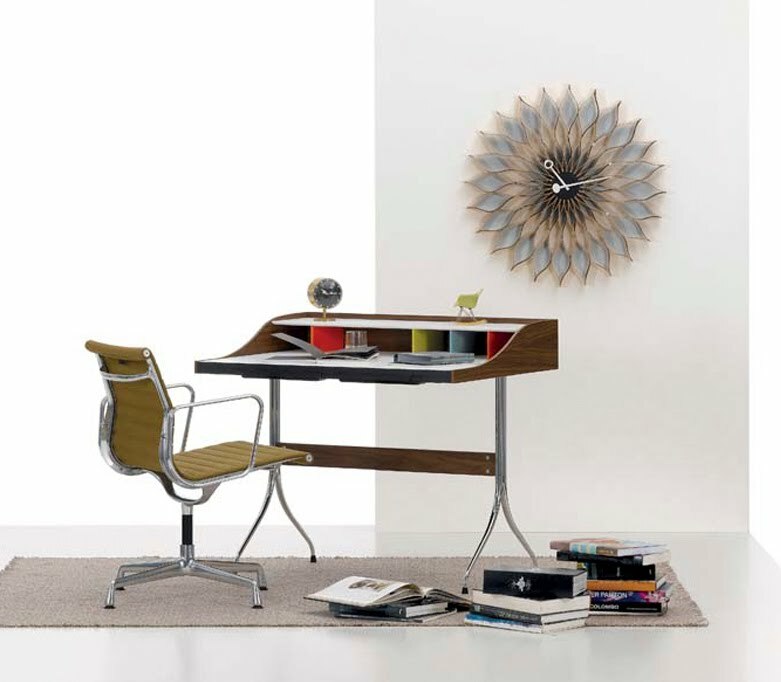 Another home office desk we like is the beautiful modernist Airia home office desk from Herman Miller's Lifework portfolio. 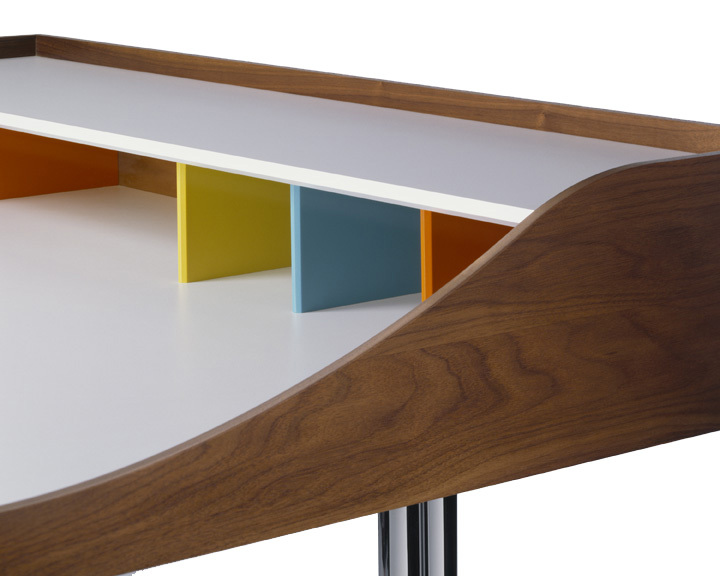 The Lifework Airia Desk was designed by Kaiju Studios for Herman Miller. The Herman Miller Lifework Portfolio's Airia desk strikes a balance of simple function, timeless style, and quality craft. 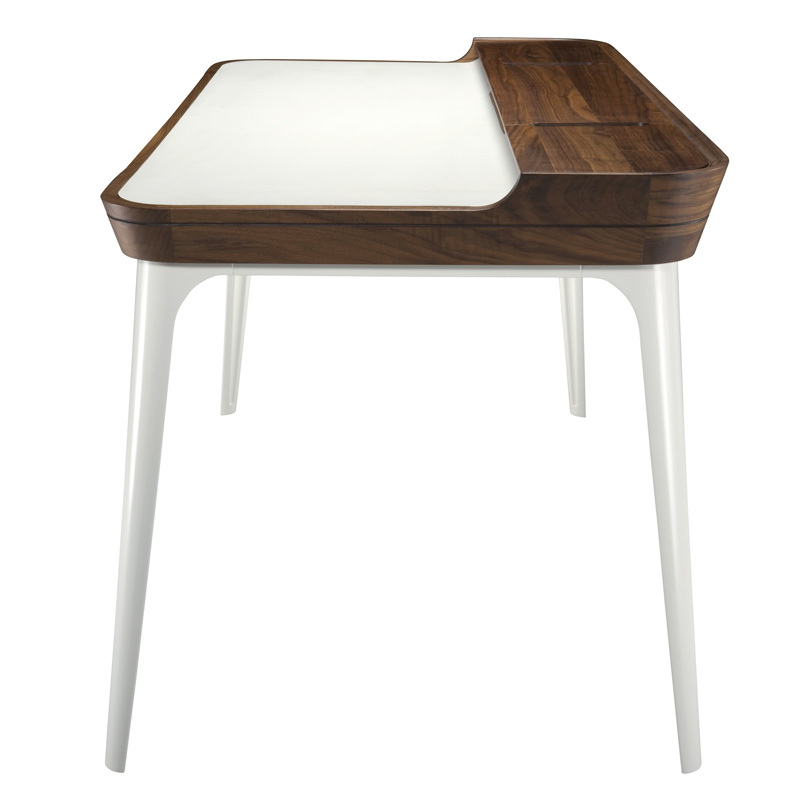 The elegant mill work of the walnut frame, tapered legs, and cork-lined trays exemplify the creative use materials and attention to detail. Thoughtful cable management is included. Herman Miller's Lifework Portfolio also includes a versatile media cabinet. In a home interior, the Herman Miller Airia Desk will certainly complement classic furniture as well as new styles. The Airia Desk and Media Cabinet gracefully bring together the needs of work and the comforts of home, combining organization and performance with warmth and beauty. The Airia Desk features a primary work surface and an elevated rear peripheral surface, which encloses a space for cable management. In the large central drawer are three removable cork-lined trays. Herman Miller's Airia Desk is made of high quality materials, a solid walnut frame and peripheral surface, cast aluminum legs, and a laminated plywood work surface. Aria's timeless looks are built to last. The companion Media Cabinet has the flexibility to adapt to a number of uses, from display to storage to peripheral support. 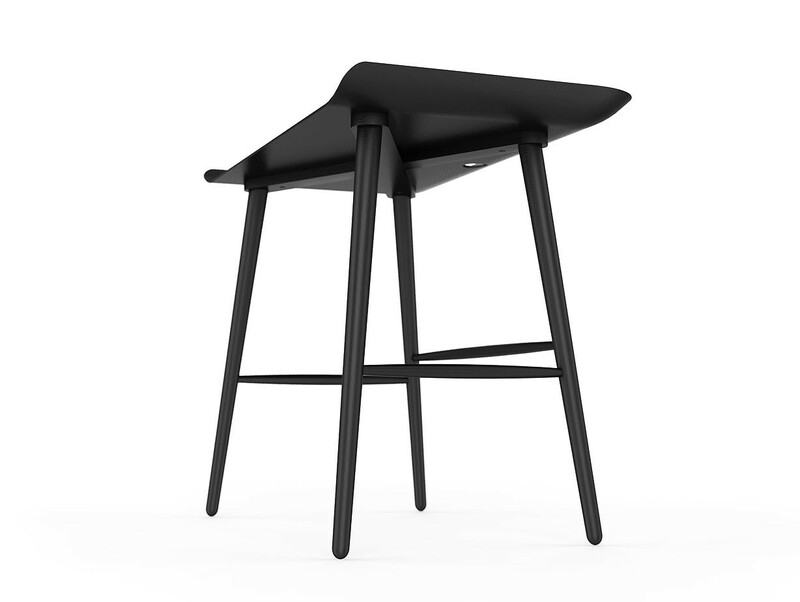 Airia is part of Herman Millerï¿½s Lifework Portfolio, winner of the 2008 ICFF Editors Award for Body of Work. Ayako Takase of Kaiju Studios, a multidisciplinary design creative consultancy in Providence, RI, says "There are lots of beautiful desks out there, but they don't support work and home functionality." Takese, Cutter Hutton, and Chris Specce of Kaiju designed Airia to do just that by building in "purposeful and intelligent features," says Takase, like the dual-level desk top, technology management, and natural materials. 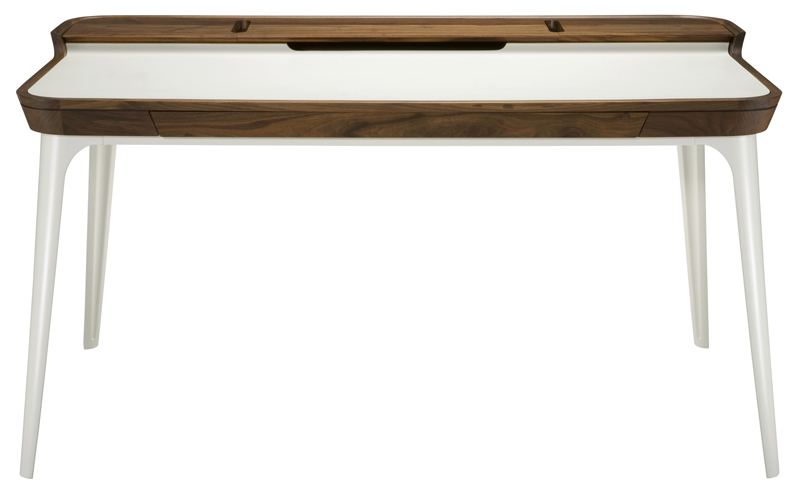 At the same time, says Hutton, "We designed it to be shown off and on display in your home. The millwork detail on the walnut frame, sleek legs, and elegant form let Airia fit well with both classic and contemporary furniture. It's timeless. We intend it to be a desk you'll keep for the rest of your life, and give to your kids." Ultra Small Home Office Desk "Boby Trolley by Joe Colombo"
For those of us who are living in small city apartments like New York or San Francisco where space comes at a premium and with absolutely no space for a large office desk, this super efficient and movable do-it-all Boby Trolley is probably the best space-saving home office solution. This storage unit has casters which allow you to freely move it from one corner of a room to the other. 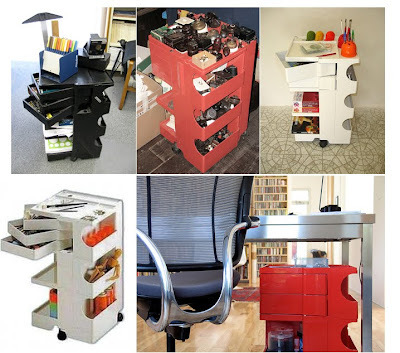 Sure, there is not space for your legs underneath but it is still a fantastic solution to combine all your office and organizing needs into one super practical storage solution. The height of this unit is the same as your average home office desk height so it is perfect for a laptop or Apple's MacBook. And you have have organizing drawers right below. Office filing and storage made easy with the Joe Colombo Boby storage trolley office organizer! The Joe Colombo Boby Organizer is a must have workspace organizer for the business and the home office. 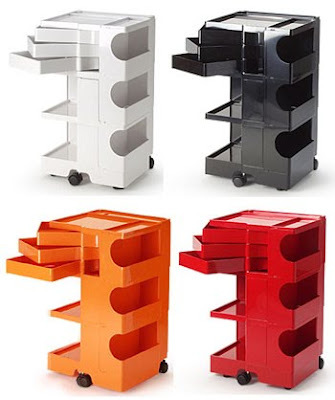 This attractive modern organizer can be used in any room. This workspace storage unit is very practical since it has casters which make it easy to move around. Swing out organizing drawer trays help keep office supplies such as copy and printer paper, ink, toner & ribbons, calculators, paperclips, clips, pushpins, pens, pencils and markers, rubber bands, staples & staples, notebooks, iPhone, etc. Each drawer tray is perfectly sized to store your Apple iPad, Amazon's Kindle or Barnes&Noble's Nook. There is a also an open compartment with removable lids which allows for vertical storage of posters, prints, architectural renderings, tubes, etc. This practical office organizing tool helps keep your desktop space clean and organized so office supplies are easy to find. A great solution for everyday filing, storage and shelving needs. 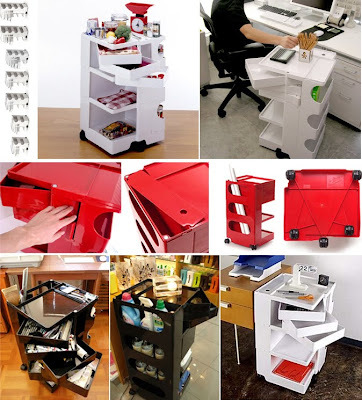 This office organizer will help to keep your office organized and running smoothly. 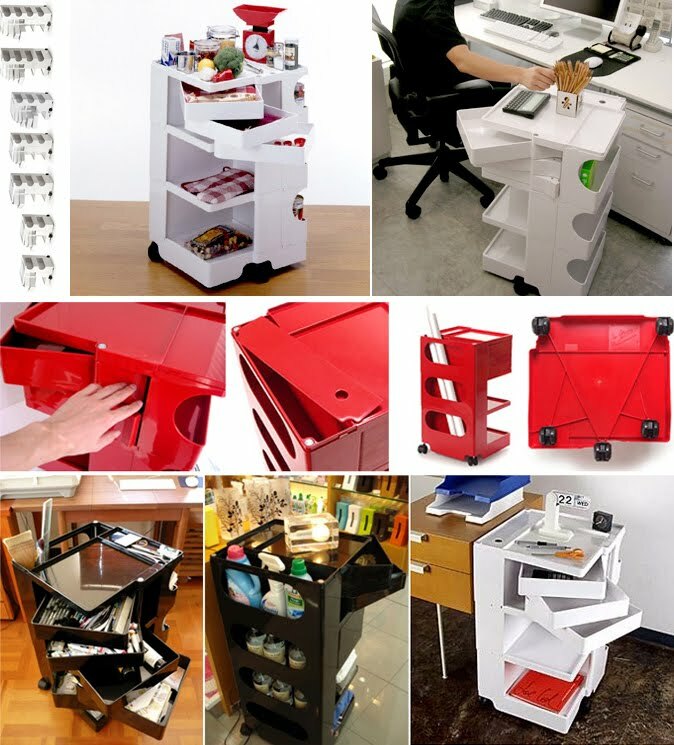 New York City apartment do-it-all home office organizer and desk! The Joe Colombo Boby Organizer does it all with a minimum amount of required space! Both incredibly practical and pleasing for the eye. Ample storage space plus handy swing-out trays for documents make it a fantastic object for everyday use in a whole host of environments. It is perfect for the demanding corporate business, the modern home office, beauty salon, spa, retail environment, doctor's office, laboratory, architect office, etc. This office organizer is one of the most popular workspace storage units available.